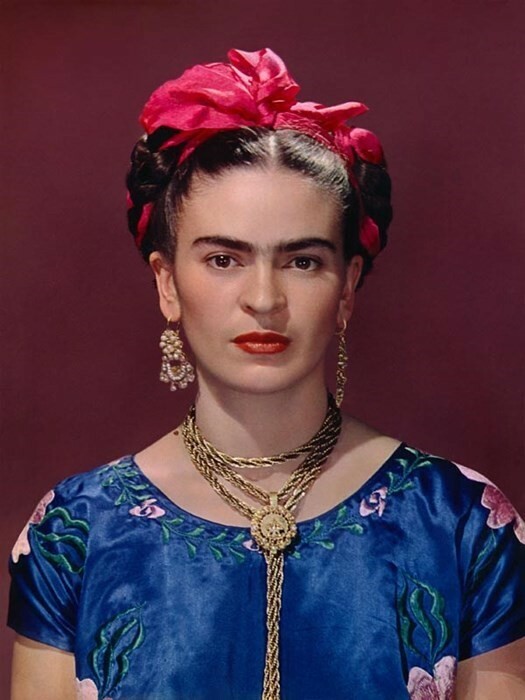 A master of the self-portrait, Frida Kahlo – with her jet black hair, heavy monobrow and bold wardrobe – is one of the most recognisable artists in the world. Her turbulent life has become a topic of fascination, re-told in film and literature, and even merch. With a new exhibition delving into her expressive wardrobe and personal belongings set to open at the V&A in June, Kahlo’s legacy as a political, feminist and Mexican icon hasn’t diminished since her death in 1954. Eighty years since she created some of her most famous works – including “Self-Portrait With Monkey” (1938) and “What The Water Gave Me” (1938) – and as tickets for the V&A exhibition go on sale today, we walk you through Kahlo’s troubled and inspirational life, as told by the painter herself. 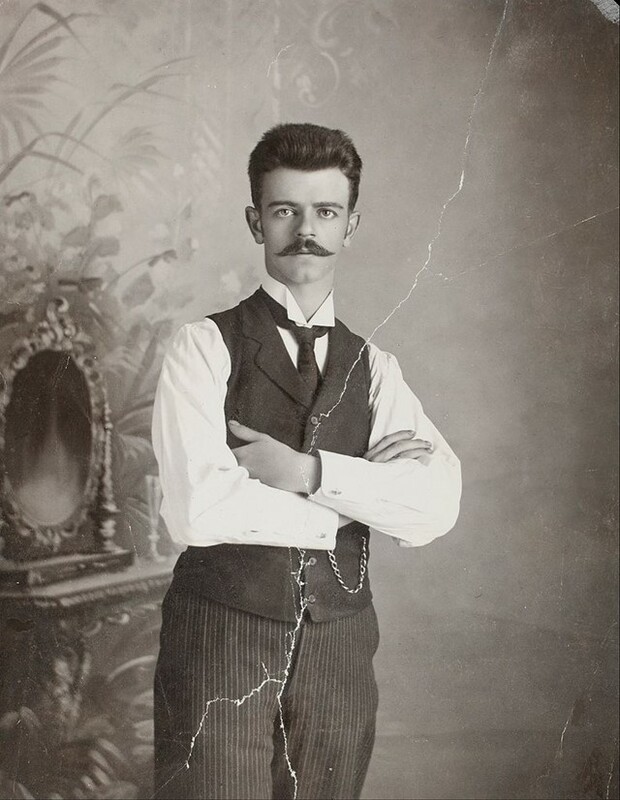 Kahlo’s father, Guillermo Kahlo, had a huge impact on the artist. As an epileptic, he bonded with his daughter over their shared experience of living with a disability (Kahlo contracted polio when she was a child, resulting in her right leg being shorter and thinner than the left) and as a photographer, he undoubtedly influenced her later creativity. Spending an enormous amount of time together, it’s unsurprising that Kahlo preferred her doting father to her mother. Kahlo in fact never developed a strong relationship with her mother and described her as “calculating, cruel and fanatically religious”, once describing the atmosphere in her childhood home as often “very sad.” When Guillermo died in 1941, Kahlo was plunged into a deep depression, preferring to spend time at home than venture out. 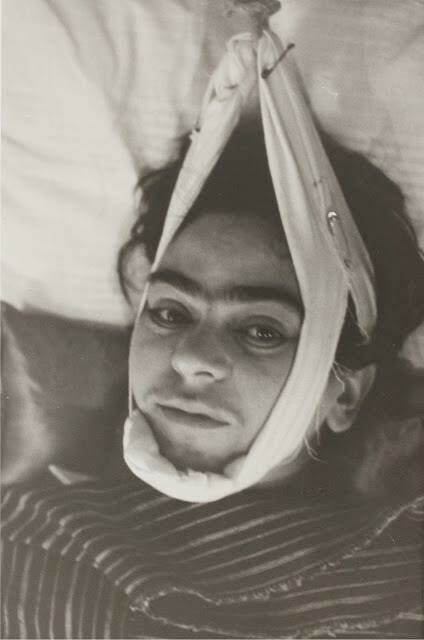 In 1925, aged 18, Kahlo was in a near-fatal accident when a bus she was riding collided with a trolley car. In this quote, Kahlo references the iron handrail that impaled her pelvis, fracturing the bone and changing her life. Her boyfriend, Alejandro Gómez Arias, escaped with minor injuries, recalling a particularly harrowing scene: “Someone in the bus, probably a house painter, had been carrying a packet of powdered gold. This package broke, and the gold fell all over the bleeding body of Frida.” Also breaking her spinal column, collarbone and fracturing her leg, Kahlo spent months unable to walk; bedridden and bored, she took up painting. The accident and her resulting injuries played a pivotal role in her work, most notably “The Broken Column” (1944) in which Kahlo appears split in two, held together by bandages with a crumbling stone column replacing her spine. Despite being taught photography at a young age by her father and avidly sketching in notebooks, Kahlo didn’t grow up dreaming of being an artist. Fascinated by medicine and the idea of healing people’s pain, Kahlo studied science with the aim of becoming a doctor. After the bus accident brought her career aspirations to an abrupt end, Kahlo thought of becoming a medical illustrator, combining her love of science and art. Medical iconography has a persistent place in Kahlo’s work, documenting her many hospital trips and traumatic agonies, though her expression remains impassive – strong. Although she was always on the other side of the surgery table, today she is still known in Mexico as ‘la heroína del dolor’, meaning ‘the heroine of pain’. 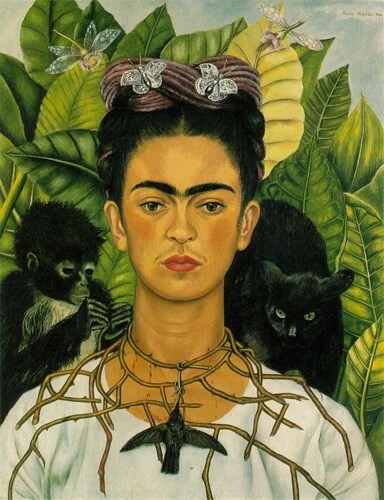 Queen of the self-portrait, Kahlo is most famous for her face. Although she was seemingly self-obsessed when it came to painting, the artist was incredibly unhappy with her appearance, regarding herself as overtly masculine-looking. She once said, “Of my face, I like the eyebrows and eyes. 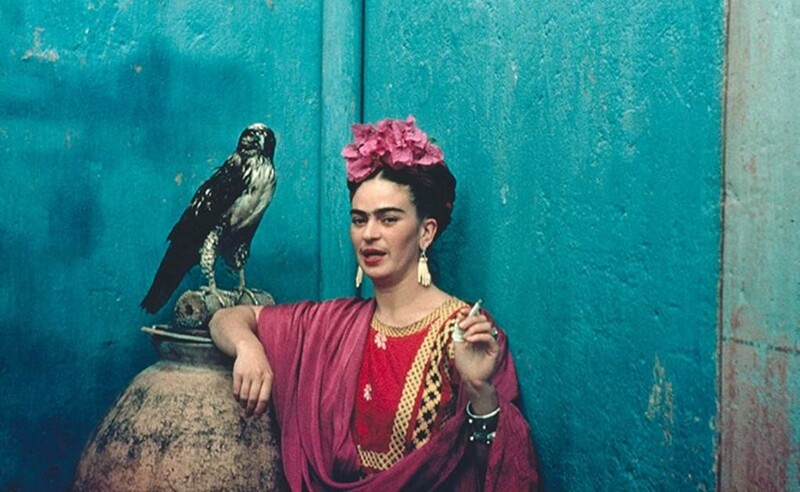 Aside from that, I like nothing.” After her accident, Kahlo was determined to exclusively paint reality, and through her self-portraits, she created a visual autobiography of her life – love, loss, pain, politics. Beginning her life as a painter with nothing but an easel and a mirror, self-portraits were Kahlo’s easiest and most logical outlet, noting: “I’ll paint myself because I am so often alone because I am the subject I know best”. One of the most influential people in Kahlo’s life was her on-and-off husband Diego Rivera. The two met in 1928 as Kahlo began to run in political and artistic circles, following the end of her bed rest the previous year. An established artist, Rivera was 21 years older than Kahlo and a known womaniser, though this only made him appeal to Kahlo more and the two were married the following year. Comical in their differing sizes and beauty-and-the-beast dynamic, Kahlo’s parents described their marriage as “between an elephant and a dove”, never truly approving of the relationship. 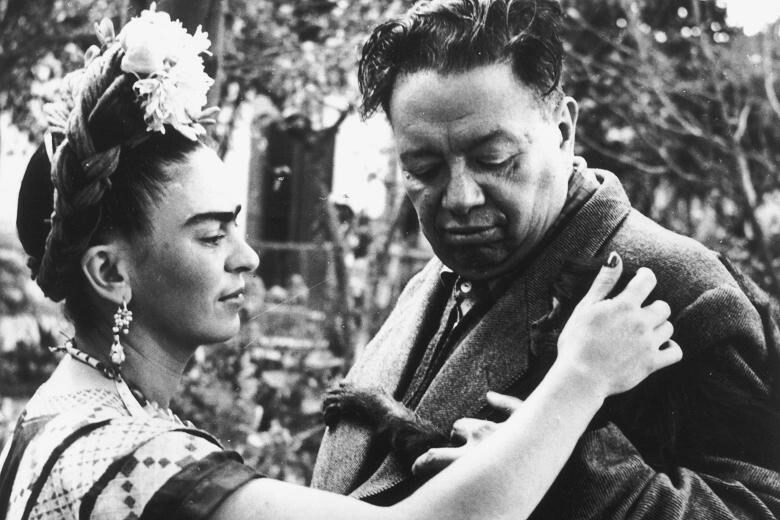 The two had a passionate, explosive marriage riddled with countless infidelities and was seemingly at odds with Kahlo’s powerful, independent persona. Although both were consistently unfaithful, Rivera’s affair with Kahlo’s younger sister, Cristina, had a huge impact on the artist, inspiring iconic works such as “Memory, the Heart” (1937). The painting sees Kahlo with a wooden pole impaling an empty space where her heart should be, while an oversized heart lays bloody and abandoned on the floor, its size symbolising the enormity of her despair and her missing hands representative of her feelings of helplessness. Undeniably a national treasure, Kahlo left her mark as an icon of Mexican culture. Her childhood home, La Casa Azul in Coyoacán, where she was born in 1907 and died just 47 years later, is now a museum dedicated to her legacy. In this quote, Kahlo addresses her ambition to be a painter for Mexican people. She was constantly inspired by Mexican politics and is regarded as an artist heavily influenced by Mexican folk art, drawn to its elements of fantasy, colour and exploration of death. 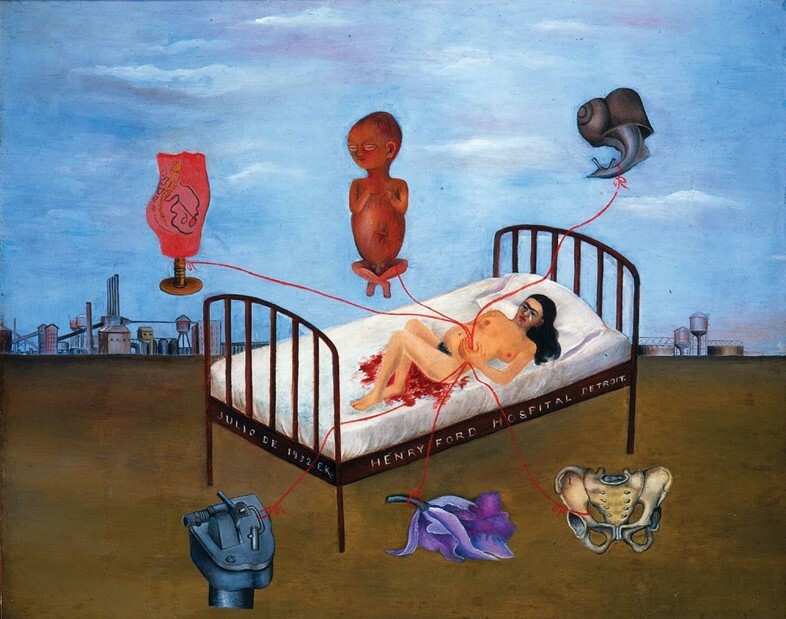 A prominent example being “Henry Ford Hospital” (1932) in which Kahlo, following a miscarriage, is lying naked on a hospital bed surrounded by objects, including a fetus and a pelvic bone (referencing her earlier bus accident). Both morbid and painted in bold oil colours, the surreal piece draws on the pain of Kahlo’s own reality while taking inspiration from the mythical and fantastical ideas of Mexican folk art. Art historian Nancy Deffebach described Kahlo as someone who “created herself as a subject who was female, Mexican, modern, and powerful” – by using her paintings to question Mexican society and the construction of female identity within it, she ensured her heritage became synonymous with her status as a powerful feminist icon. Surrealism originated in the early 20s as a cultural movement that aimed to release the subconscious imagination. Initially concentrated in Paris, surrealist artists drew illogical scenes with perfect precision, playing with the realms of fantasy and reality. Although regarded as a surrealist, in this quote Kahlo asserts that she only ever painted her actual experiences, even once referring to her Parisian counterparts as a “bunch of coocoo lunatics and very stupid surrealists”. Typically drawing herself through her reflection, she arguably painted a mirror version of reality, one that is both real but subjective. 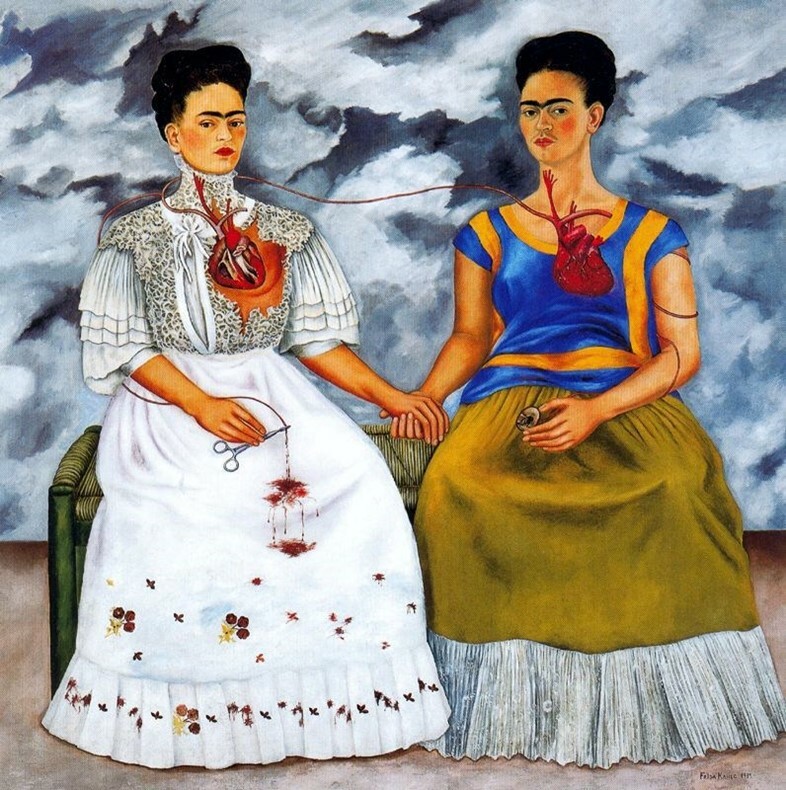 In “The Two Fridas” (1939), Kahlo paints two accurate self-portraits but has them side-by-side holding hands; inspired by her divorce from Rivera, Kahlo presents her two ‘selves’, expressing her conflicting realities of sadness and determination but drawing on surrealist elements through the exposure and connection of the duo’s hearts. Regularly addressing multiple identities, Kahlo’s internal struggle questions the reality in which she lives. Following her near-fatal accident, Kahlo’s pelvis was too badly damaged to support a baby. Despite becoming pregnant several times, Kahlo was forced to have two abortions and miscarried once – explicitly depicted in “Henry Ford Hospital” (1932). Fertility, therefore, plays a key theme in her work, with details pulled not only from her own experiences but also from her fascination with medicine. Although Kahlo always had mixed feelings about becoming a mother, her childlessness became a source of trauma for the artist, especially given her distant relationship with her own mother. In “My Nurse and I” (1937), Kahlo explores her feeling of rejection after she was breastfed by a wet nurse while her mother gave birth to her younger sister Christina. The pair are disconnected in the painting with Kahlo appearing as a baby with an adult head, showing that her feelings of maternal rejection still haunted her throughout her adult life. These were the last words Kahlo wrote in her diary before her death in July 1954. Accompanying the quote was a drawing of a black angel, representative of Kahlo’s acceptance of and desperation for death after a life of suffering. Although, despite her friend Andrés Henestrosa saying that she “lived dying”, Kahlo remained tenacious in the face of death, attending a political demonstration just ten days before she died, and had her bed moved to a gallery so she could attend her first solo exhibition in Mexico (arriving in an ambulance to a mystified crowd). Having suffered from pain her entire life, both physical and emotional, painting provided the perfect outlet for Kahlo, who once said “I’m not sick I am broken. But I am happy to be alive as long as I can paint”.